The state of California is simply unmatched when it comes to beautiful, picturesque imagery in the United States. As the birthplace and home of timelapse photographer Hal Bergman, it was his goal to compile as much of the visual wonders California has to offer in to a tight four-minutes time. His newest video, aptly titled “California,” combines four years of filming in to a marvelous treat for the eyes that any citizen of the world can appreciate. Beyond the video, Hal also speaks to Fstoppers about the behind-the-scenes work and equipment used in the making. Other than client work, Hal contributes his timelapses to Getty Images, Dissolve, and creates the photography for Magic Window Timelapse Screensaver (Mac). Cameras setup in Yosemite National Park. 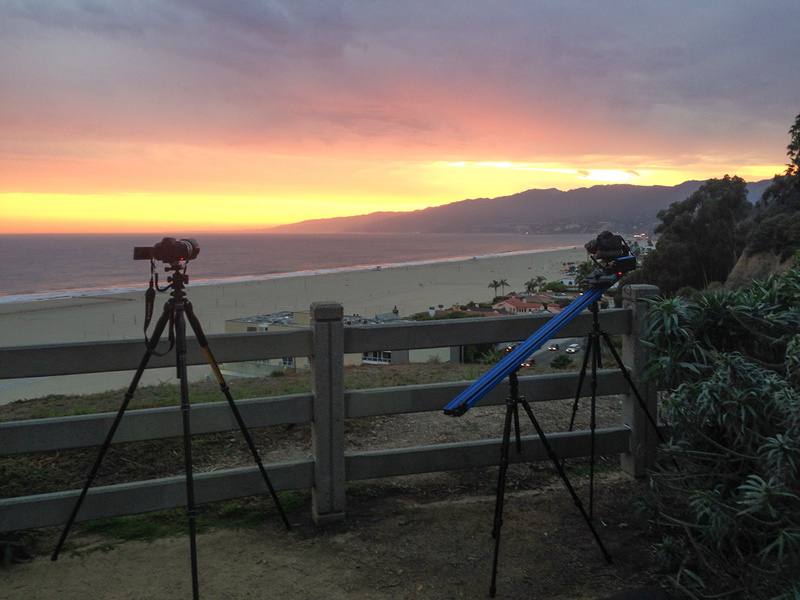 Behind the cameras shooting a vibrant Santa Monica sunset. Hal also told me that he is impressed with the WiFi feature on his Canon 6D. 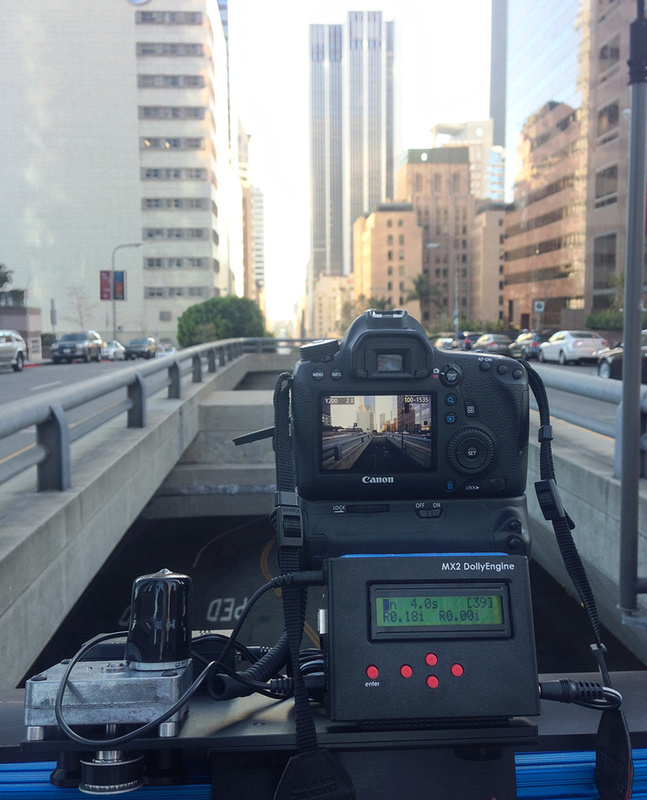 “When I bought the 6D, I initially shrugged off the WiFi functionality as some needless feature I wouldn't use. Let me tell you, for timelapses it is perfect.” Its biggest use for Hal is when he has his dolly set up in a strange configuration and it becomes difficult to see the LCD screen. With WiFi, he can see all the images on his phone as they are shot, making sure they are precisely what he wants. 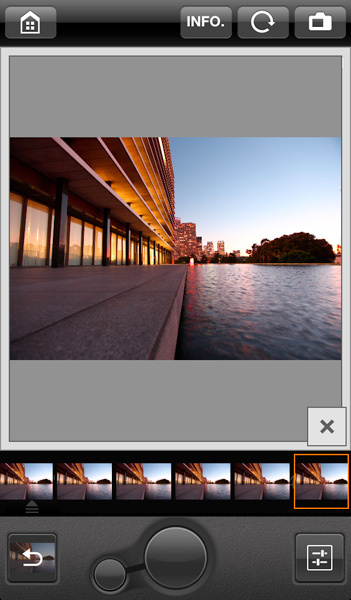 “I can also ramp the shutter speed as the ambient light changes without touching the camera, which is huge. Stabilizing shots in post is the bane of my existence, and touching the camera during a shot I know I want to keep will mean a long night at the computer.” Still, Hal believes there’s room for improvement in the WiFi software, calling it “rough around the edges,” so he isn’t using it all the time quite yet. The WiFi feature of the Canon 6D allows Hal to remotely monitor his captures. 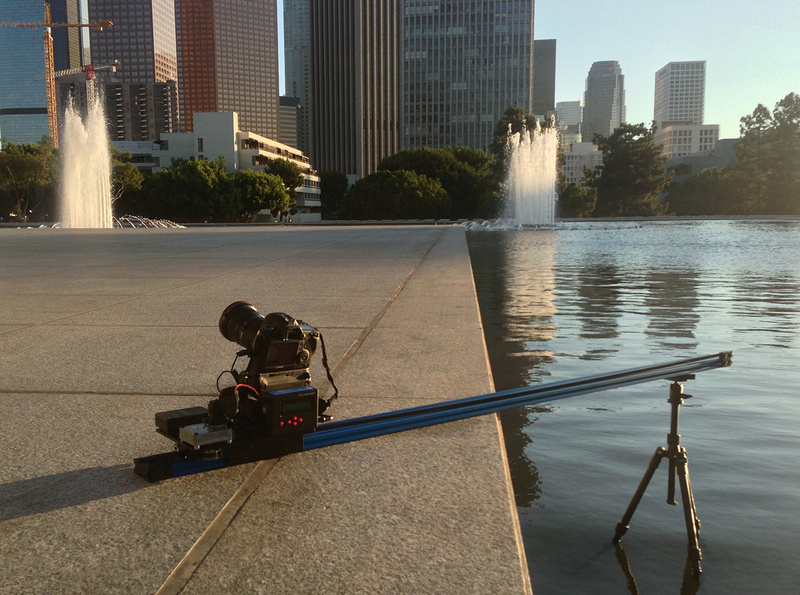 For “California,” a Dynamic Perception Stage Zero dolly is utilized. Hal mentions levelheadedly, “It's a pretty bulky beast and I'd love to have a Stage One, but at the end of the day this has the same ability to pull off incredible motion shots.” Also appreciated was the money saved going with the less-expensive model, giving Hal leftover funds to afford a flight to France and the UK where he had the chance to actually use his chosen dolly. As for transporting the Stage Zero, Hal responds that he mostly carries it around on foot or uses a van. In situations where he can’t easily walk or drive to a location, notably in major cities, Hal astoundingly manages to strap the dolly to his bicycle for the mobility that he needs. 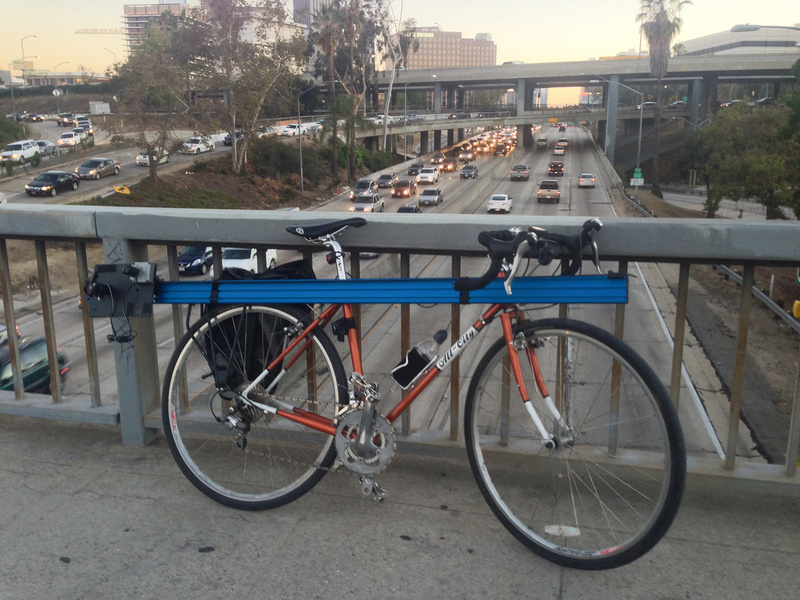 Transporting the slider by bicycle in the city. As one can imagine, making a video such as “California” takes tremendous planning and faces unique challenges. The two biggest challenges for Hal in the making of this video, as well as his other non-client features, are location access and media storage. 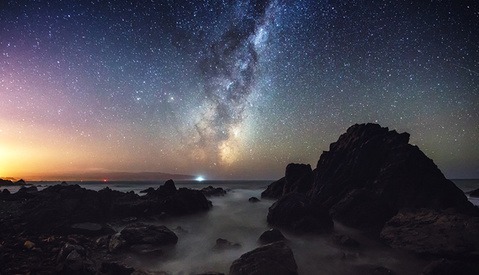 “It's very difficult to shoot timelapse guerilla-style, so having a connection to non-public places to shoot is going to be key to getting the most interesting shots,” he reveals. 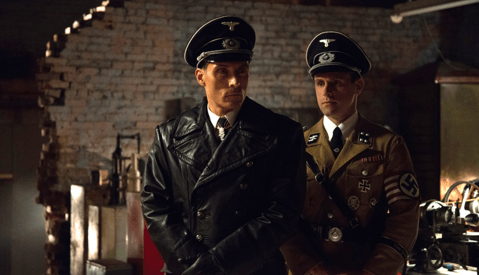 As an example of his hardships during filming, Hal told me the police showed up and questioned him while shooting the container ship in the harbor. Having access granted through friends and healthy client relationships allowed him to get the vital downtown Los Angeles and San Francisco rooftop vista shots. 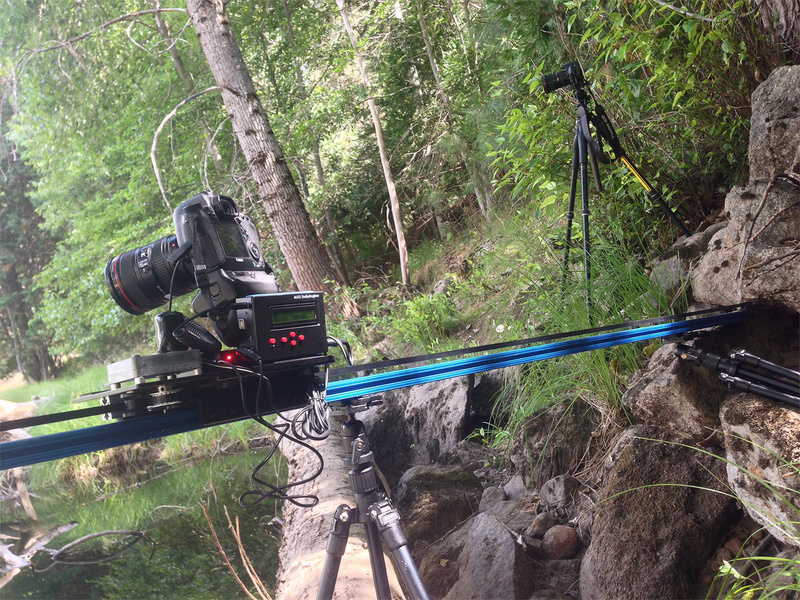 Dolly track setup for a landscape shot. Video post-production and Hal's office workspace. The result of his four-year endeavor: simply glorious. Below you can find even more behind-the-scenes photos Hal sent over to us. All images were contributed by Hal Bergman and used with permission. Very interesting article and wonderful video. Great geek information, too. I wonder how a photographer can sit and watch this setup for hours on end. That is always the question on landscape photography for me. 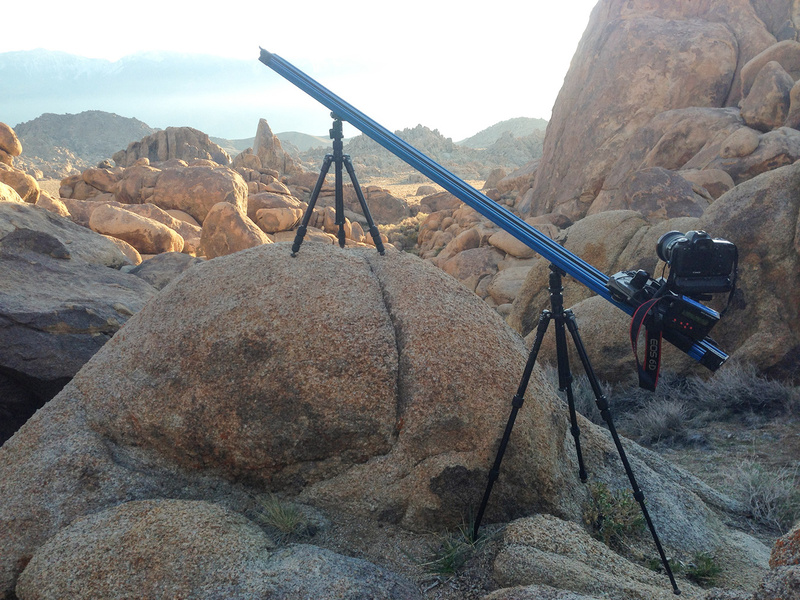 Now the timelapse means I would have to watch the equipment for hours? My compliments to everyone. Yup! I wonder that myself too. I'm pretty used to it now. Surprisingly often, somebody will come up to me and ask what I'm doing, and I'll get to have a conversation. Even in the most remote places. The shot of Half Dome in Yosemite was an over 3-hour shot. An hour into it, an entire family showed up with snacks, lawn chairs, beers. My camera was set up in front of a vista they had returned to for years and years. Instead of getting annoyed that there was a piece of equipment partially blocking their favorite view, they invited me to sit down and drink with them. It was fantastic. Sometimes I'm left all by myself, in which case I usually just relax and read. If there is cell service, I'll browse the internet on my phone. I used to meditate... I should really get back in the practice of doing that. That was fantastic. Well that was breath taking! well done! Great article, lots of interesting info. This is a great vat of information. I managed to do the same trip sans a few places and I really like the way you did this piece. Thanks for sharing. What type of Slider are you using Hal? very impressive work. I've been thinking about going into timelapse for some time now, so what was really useful for me was this: Use cheap camera gear, as shutters & HW wear out. I expect that using a mirrorless camera will significantly reduce the wear & tear costs too. This is a great article, I came across the California video on Vimeo, absolutely breathtaking however what I love the most is these behind the scene tips/setups. It fascinates me how others set up there equipment, what equipment they use, settings etc. Project Yosemite originally inspired me to start time lapsing here in the UK a few years ago, I started with a canon 1100D and have now upgraded to a 70D which is a lot better! A friend and I have set up our own project called Project Bournemouth (projectbournemouth.com) and we are working on a video to be released later next year, this has certainly helped me understand the post process a lot better/ what software to use, we are on a tight budget as we are only students but thanks for behind the scene stuff, really spectacular footage. really enjoyed the video, fantastic work !